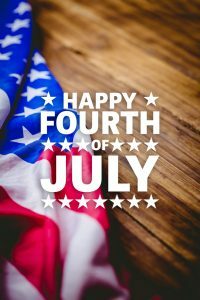 Casa Companion Caregivers Fourth of July Special: American History Quiz Time! American history has never been more popular, as Hamilton swept the 2016 Tony Awards, we discuss the Supreme Court and constitutional amendments in the news daily, and the U.S. is facing an historic election this year. Your body may be ready for daiquiris, beach balls and sunblock, but your brain still needs a challenge. So as you wait for the Big Bay Boom, why not take our six American History quizzes, and see if you rate as a Founding Father, or a rascally Redcoat. Can you answer this question? : Calvin Coolidge was the only U.S. president born on the Fourth of July. Three presidents, however, died on that date. Who were they? Hey, Alexander Hamilton fans, or just Hamilton fans, a quiz just for you! Can you answer this question? : Which of the following versions of U.S. currency has Alexander Hamilton never appeared on? From the Encyclopedia Britannica Online, a timed American History quiz. You get points both for correct answers and speed! Can you answer this question? : Through which national park does the Continental Divide not pass? Can you answer this question? : Who was the only President to serve two non-consecutive terms? A quiz all about Abraham Lincoln, from the Encyclopedia Britannica Online. This one is also timed, and you will earn points for how fast you answer, as well as how many correct answers you give. Can you answer this question? : When did Lincoln’s face first appear on the penny? From Time Magazine, a U.S. history and government quiz at the 8th grade level. The 2014 Nation’s Report Card says that most 8th graders fail this test – how do you measure up? Can you answer this question? : What is one responsibility that modern Presidents have that is not described in the Constitution? Bonus! A handy guide to the names of all your favorite fireworks!